Thanks to the state's French, Creole and Cajun heritage, Louisiana is a wonderful blend of ethnicity and cultural flair with a diverse array of food, music and architecture to be admired throughout the region. Listening to jazz, blues and Afro-Caribbean tunes on a hot and humid night is definitely good for the soul and checking out the local scene in any of Louisiana’s major cities will envelope you in a world of jumping joints where the nights seem to last forever. After a night on the tiles there's no better way to start the day than with a good-old-fashioned Louisiana breakfast consisting of: fresh baguette, cheese omelette, grits, dumplings and strong black coffee. Of course, once you've got through the first meal of the day then it's time to explore and you'll discover no end of swamp tours, city sightseeing and theme parks to add to a fun-packed itinerary with plenty of historic monuments and cultural heritage besides. New Orleans features the National WWII Museum, Louisiana State Museum and an expansive art gallery which are all excellent options when the humidity reaches boiling point. And heading to the French Quarter is perfect for chatting about the day's discoveries on a pub or café crawl. 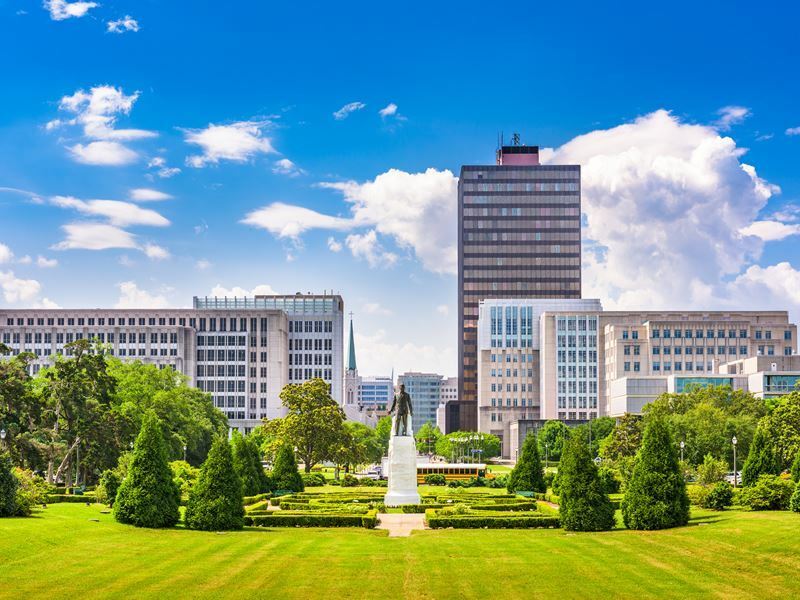 As the capital city of Louisiana, Baton Rouge, also includes its fair share of historic and cultural sights with: the USS Kidd Navy destroyer, Old State Capital building and several plantation houses dotted in and around the city, providing an equally rewarding list of things to do during the day. 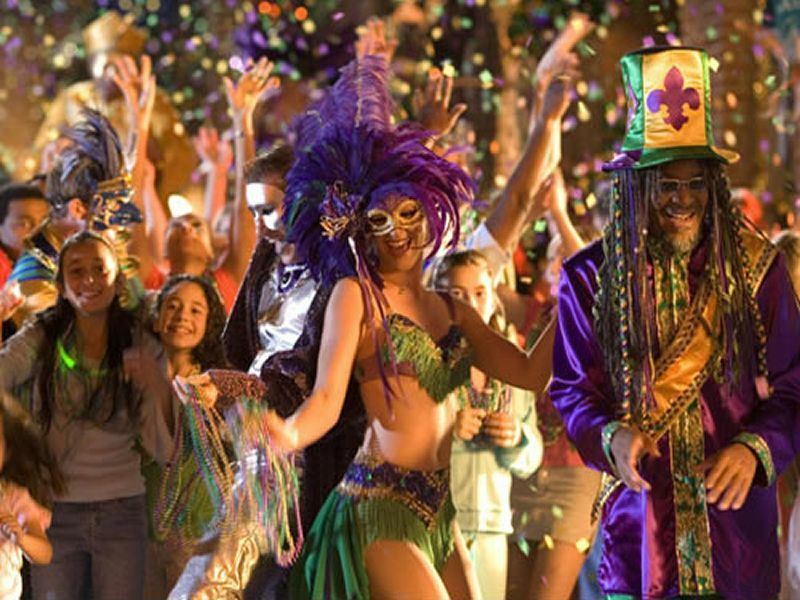 No matter what brings you to Louisiana, one thing is for sure, timing your visit to coincide with Mardi Gras is always going to throw up a whole load of options and although things can get a tad busy in New Orleans this is certainly one New Year's celebration that you won't want to forget. Without further ado, we're going to take this beginner’s guide to the state of Louisiana a little deeper and delve into two of the state's most popular urban hubs: New Orleans and Baton Rouge. The largest city in Louisiana and probably the most popular for visitors, New Orleans can be found in the south-east of the state either side of the Mississippi River. A quick stroll through New Orleans by day will bring you face-to-face with a wide variety of architectural designs which more than reflect the city's multi-cultural heritage with grand colonial mansions and towering sky scrapers a short walk away from creole town houses and typically French façades. The French Quarter is always a great place to start a tour of New Orleans as there is so much going on with a succession of landmarks and monuments showcasing the city's European heritage. 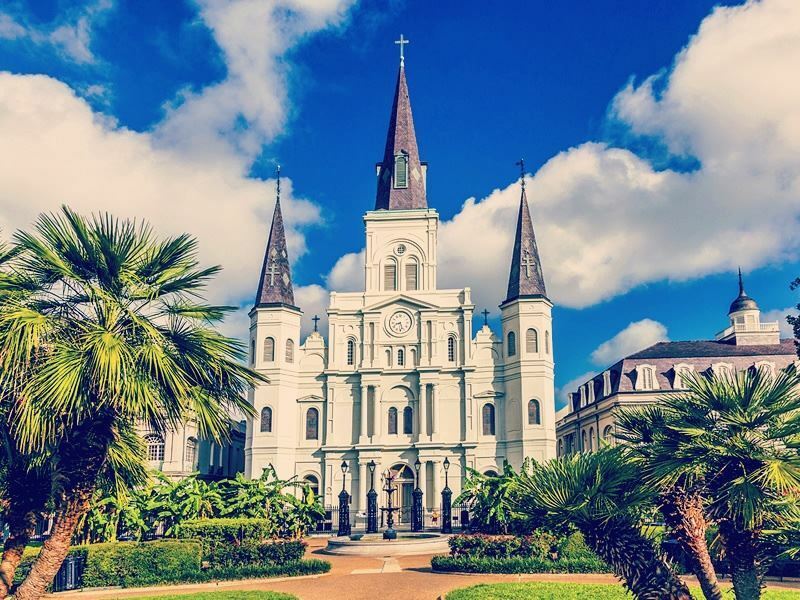 Jackson Square, Saint Louis Cathedral and the Cabildo Museum are all well-worth a visit with a trip to the St Louis Cemetery much more worthwhile than you may first imagine. Aside from the cultural history tour, New Orleans has some great parks and recreational areas as well as a zoo and an aquarium so if you're looking to rest and relax prior to stepping out in the evening then you'll ample excuses to get out and stretch your legs. Bourbon Street, Saint Peter Street and Oak Street are all awesome places to start and finish a night out in New Orleans with a huge choice of grill restaurants, jazz joints and dance clubs to help you keep going well into the wee small hours. This is an undisputed drinking town and does have a slightly seedier side although, you'll also find a vast selection of late-night diners, coffee houses, buzzing bars and burlesque clubs to help you pick and choose to suit your mood. Situated in the south-east of Louisiana, around 85 miles northwest of New Orleans, Baton Rouge is the state's capital and home to one of America's most-important industrial ports. 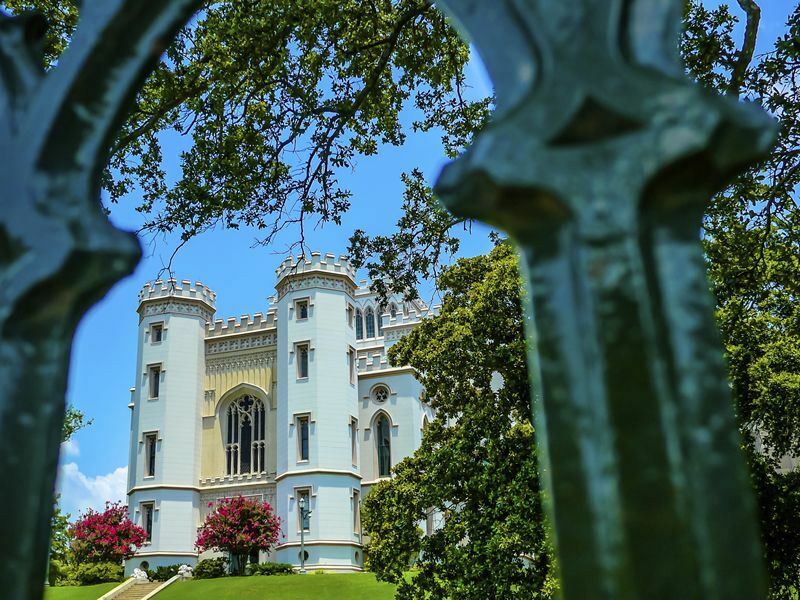 A combination of university, rail road and legislative buildings have helped to put Baton Rouge on the US map when it comes to architecture with: neo-gothic, art-deco, Italian renaissance and classic plantation mansions showcasing Louisiana's working heritage. Further echoes of the past can be found in the city's museums and galleries with art, science and natural history all represented in one form or another. If shopping's more your thing then the top two malls in Louisiana have made their home in Baton Rouge however, a day at the zoo is probably far more rewarding with almost 2,000 species on display as well as loads of interactive and educational programmes for the kids. Talking of kids, no matter how old you are, trips to the theme parks of Dixie Landin' and Blue Bayou are always worthwhile whilst visiting the capital with no end of splash rides and 'coasters to keep you screaming and having fun all summer long. Downtown is probably the best place to head to after dark, especially during the summer, as there are plenty of free outdoor concerts held on North Boulevard Town Square which offer a great way to meet the locals and kick off the evening's fun and frolics. Comedy clubs, cocktail lounges and theatres are often the order of the evening for many of Port Baton's residents however, delve a little deeper you'll find loads of clubs and bars offering all-manner of excuses to keep you from an early morning start the next day. Texas Club, Slinky's Tavern and the Cadillac Café are all well-known and definitely worth at least a round of happy hour drinks if you're looking for a first or last port of call. 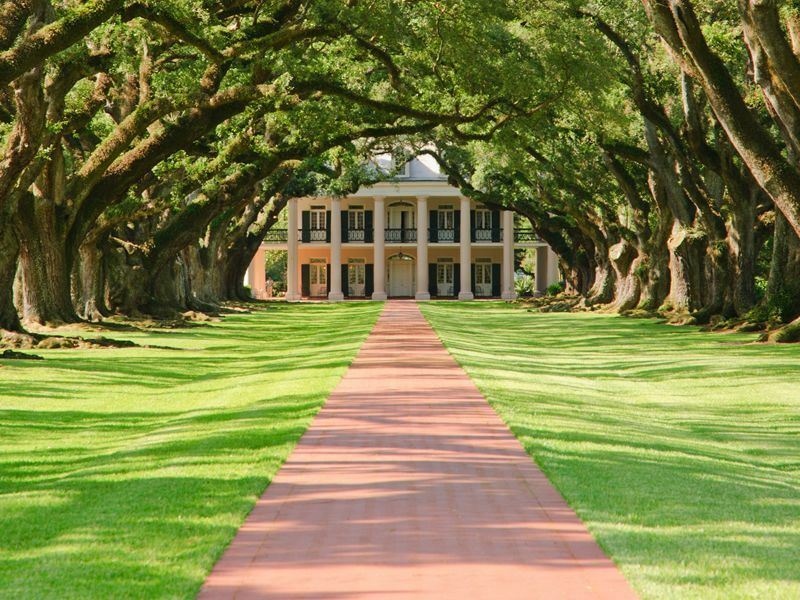 No matter what you're planning on getting up to when visiting Louisiana and the Deep South, finding a place to stay can be a mind-blowing affair as there is literally a world of choice. Downtown, French, Business, Garden or Warehouse districts all offer a vast range of hotel, motel, guest house and town house to keep you off the streets and if you do find yourself stuck for choice then basing yourself in a city centre location is often best advice. For example, Loews Hotel in New Orleans, has a great central setting as well as a good reputation for luxury fixtures and fittings at an affordable price - just what you need when you're intending to do the Big Easy in style. Swimming pool, fitness centre, bar and restaurant are all on-site at the Loews and the free Wi-Fi is always a bonus if you're hoping to keep the folks back home posted as to your whereabouts. 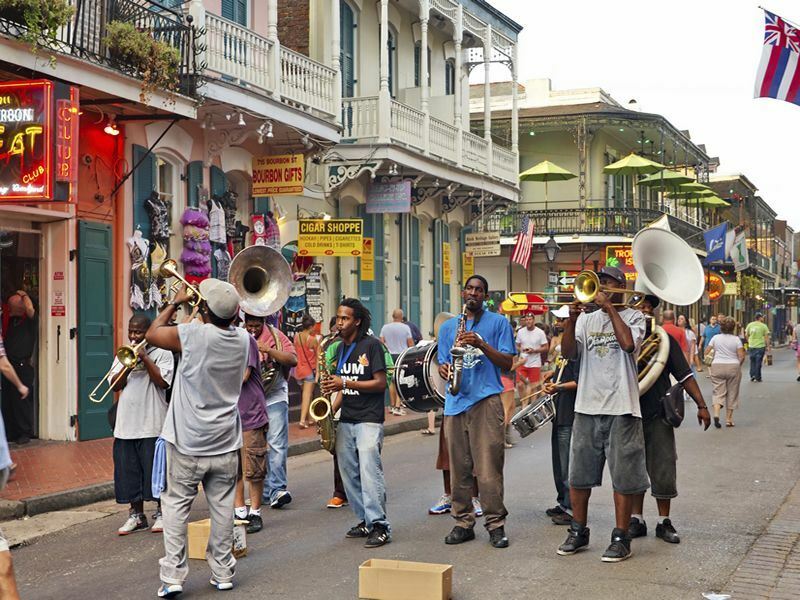 Famed as the home of New Orleans, the Bayou, incredible cuisine, intimate music clubs and a laid-back atmosphere like no other, holidays to Louisiana encompass a wealth of exciting culture and stunning jazz heritage that will knock your sax off.